Astondoa, a Spanish shipyard, celebrated its 100th anniversary this summer. I was among a number of media invited to participate in the festivities, many of which revolved around epic dinners that put elaborate weddings to shame. (Seriously: We jet-lagged journalists left at 2 a.m., and the food and drinks were still flowing.) The wedding analogy is deliberate. It wasn’t the constant serving of plates that amazed us, it was the feeling of being at a family party. The head of the shipyard was every bit the proverbial proud papa, personally greeting guests as they walked in the door. There was even a band, with random guests springing to their feet to dance, sing, and clap along. It turns out that not all of the guests were the shipyard’s customers, though. Some were the craftspeople, as we journalists found out upon seeing them during a tour of the shipyard facilities. When’s the last time you heard of a company putting its workers and customers together in a party atmosphere like this? And when’s the last time that same company produced a book with a whole section profiling various employees? The point Astondoa was making: Everyone, from our clients to our craftspeople, are our family. Furthermore, everyone, from our craftspeople to our clients, are integral to our success. One of the best books I’ve ever read is Good to Great, by James C. Collins. It’s a fascinating examination of how some companies go from being good to truly great, while others never achieve those results. One of the points Collins makes is so simple, yet so profound: “Great vision without great people is irrelevant.” Corporate leaders who go from good to great, he says, realize the destination isn’t the top priority; having the right people aboard is. How does this relate to customer service, and to Astondoa? 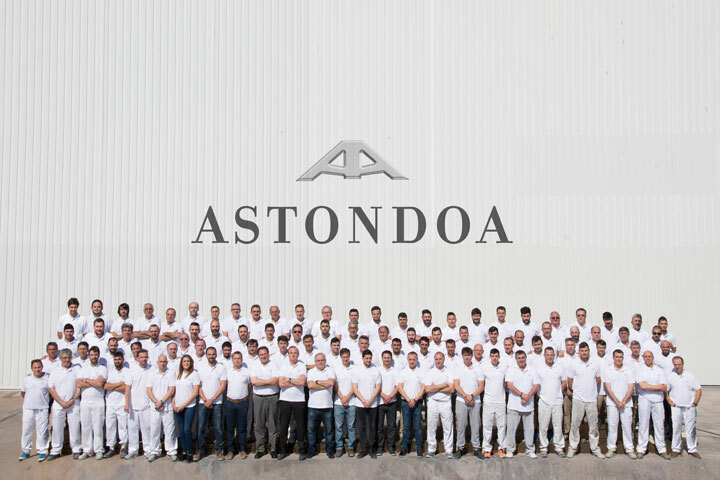 Astondoa’s management realizes that the company would not be here today, 100 years after it started, without the right people behind the scenes. Those people aren’t all in the corner offices, either. They’re the welders, the fiberglass layers, the carpenters… all of the individuals whose pride leads to them taking ownership of their work. And that kind of pride deserves to be seen be front and center by the customers. So the next time you start thinking about customer service, begin with “who.” Who are the people behind the scenes? Meaning, do they need motivation to achieve? If the customer-service experience is less than stellar, you have your answer.